If you’re seeking a calm oasis to enjoy the warm weather and stunning landscapes of Lago Vista, there is no better place than a tranquil swimming pool. 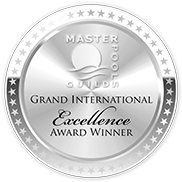 Here at Master Pools of Austin, we’re dedicated to exceptional pool design that reflects the needs and desires of our customers. Whether you’re a homeowner or a manager of a commercial premises – our specialists will transform your vision into living, breathing reality. Over the years we’ve delivered the biggest, boldest designs with total ease, thanks to our outstanding craftsmanship and years of industry experience. As members of the Master Pools Guild, we can create any shape, size or style of pool to your exact requirements, so let your imagination run free. Just some of the pool types we offer, include: above ground swimming pools, indoor/outdoor swimming pools, geometric, freeform, Lautner edge, hot tubs, spas, and many more. Master Pools of Austin serves a broad area across Texas, so get in touch today to discuss your plans and book a free consultation.